Author: Likely Daniel, though some question this. Chapters 7-12 are written in the first person (“I Daniel,” 7:15), though the first six chapters are in the third person (“Then Daniel answered,” 2:14). Date: The period of the Babylonian captivity, approximately 605-538 BC. In Ten Words or Less: Faithful to God in a challenging setting, Daniel is blessed. Details: As a young man, Daniel - along with three others to be known as Shadrach, Meshach, and Abednego - are taken from their home in Jerusalem to serve the king of Babylon. 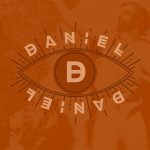 Daniel’s God-given ability to interpret dreams endears him to King Nebuchadnezzar, whose vision of a huge statue, Daniel says, represents existing and future kingdoms. Shadrach, Meshach, and Abednego find trouble when they disobey an order to bow before a statue of Nebuchadnezzar; as punishment, they are thrown into a fiery furnace, where they are protected by an angelic being “like the Son of God” (3:25). The next Babylonian king, Belshazzar, throws a drinking party using cups stolen from the temple in Jerusalem; he literally sees “the writing on the wall,” which Daniel interprets as the soon-to-come takeover of Babylon by the Medes. The Median king, Darius, keeps Daniel as an adviser but is tricked into passing a law designed by other jealous officials to hurt Daniel, who ends up in a den of lions. Once again, God protects His people; Daniel spending a night and replaced by the schemers, who are mauled by the hungry beasts. The final six chapters contain Daniel’s prophetic visions, including that of “seventy weeks” of the end times. A study in Daniel 4 from Harvest Fellowship's Midweek Service with Pastor Paul Mowery.